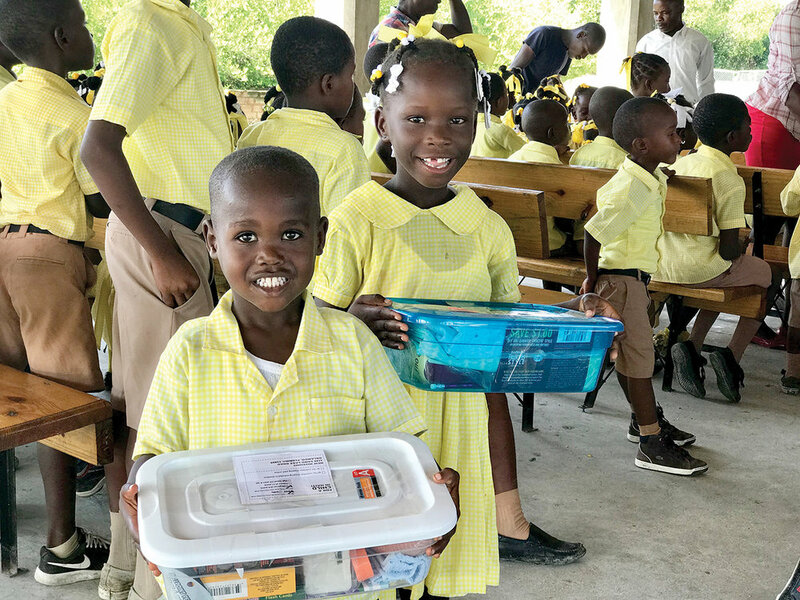 Shoebox deliveries are already happening at our schools and churches in Haiti. Plus, more shoebox gifts are still arriving at our Orlando office because our collection continues through December 31, 2018. Standing outside the school classroom at our New Missions Christian Academy in Ti-Riviere, I could hear the students giggling and making shuffling sounds as they began to open their shoebox gifts. I rushed inside to see the fun spreading across the room. Thank you for putting smiles on faces and filling hearts with love. From flashlights shining brightly, to boys holding up a new pair of socks, I could see their thankfulness for the gifts they received. Personally, they were giving me a gift too—the gift of seeing love in action. Flashlights are a big hit for children living in villages without electricity. When we deliver shoebox gifts, we also bring the good news of the Gospel. Together, we are preaching the Gospel—because only God changes lives forever. “The thief comes only to steal and kill and destroy. I came that they may have life and have it abundantly.” (John 10:10) We are messengers of hope and love. Because of you and your generosity, each student at our schools in Haiti will receive a shoebox gift.